Add your ad content. You can insert and shorten a web address as well. A target audience is a recipient for your SMS Ad. 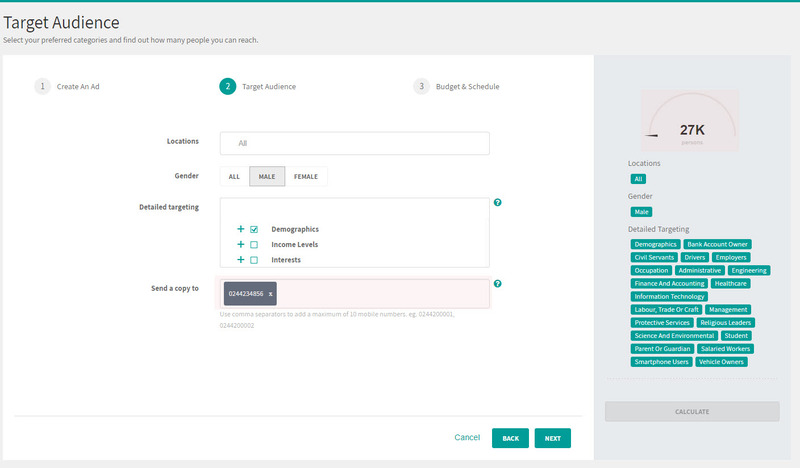 From our segmented demographic pool, you can select a target audience for that SMS Ad. Select the categories of your choice. Add a maximum of ten (10) phone numbers to verify delivery of the SMS. Separate each phone number with a comma. This is optional. 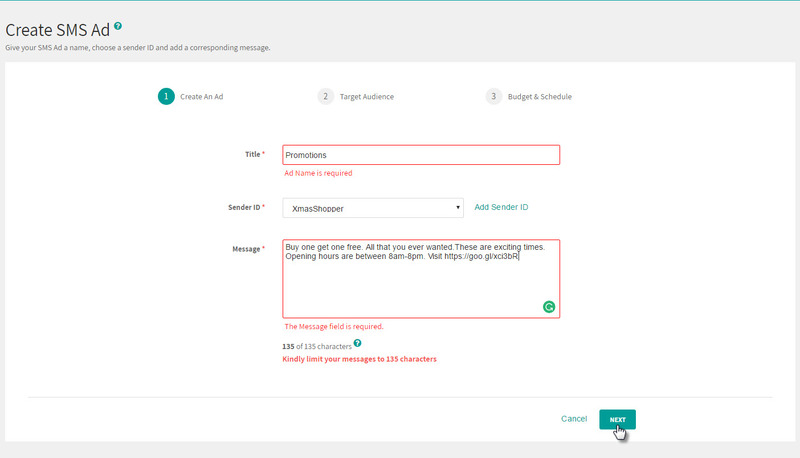 Click on Calculate on the right panel, after defining who you want to receive SMS Ad. We inform you of the total number of people you can reach based on your selection. 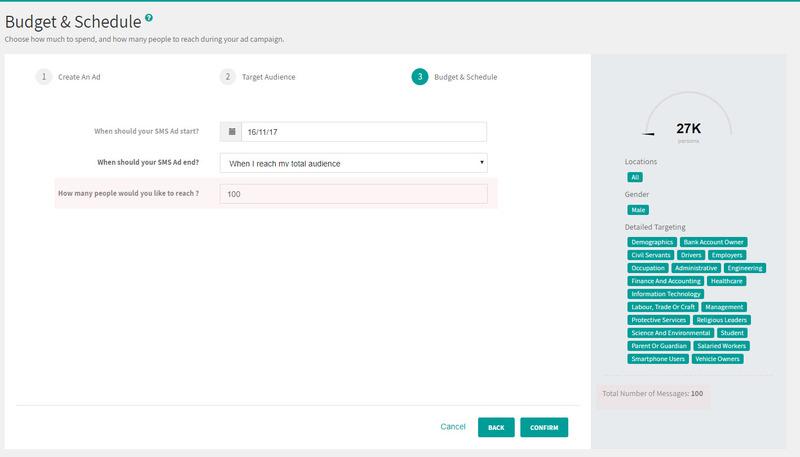 The summary of how much you are to spend over a specific time frame is displayed on the right pane of the page. 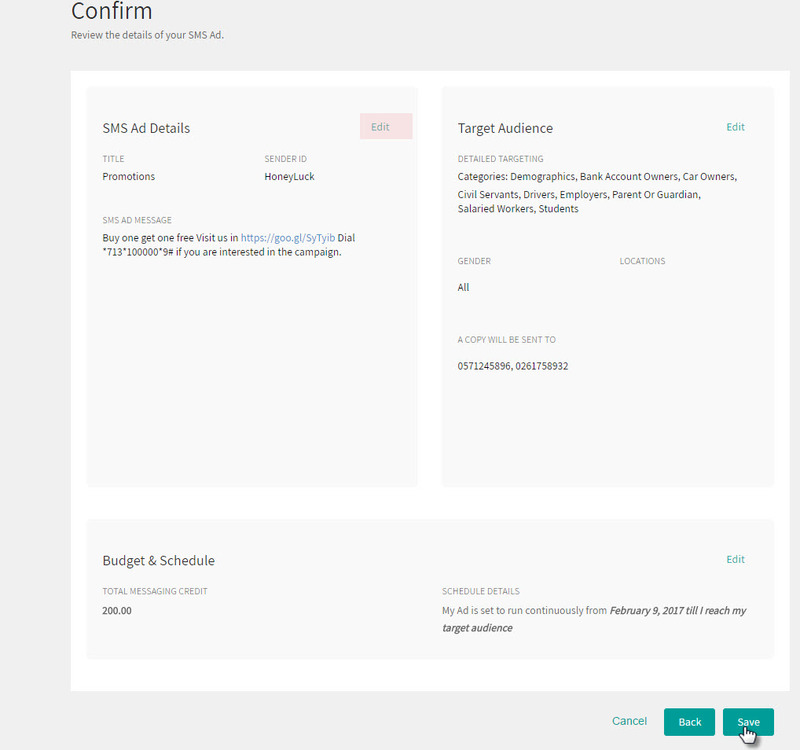 This page gives you an overall summary of the SMS Ad you just created. Look over the SMS Ad details. Select Back or Edit on a particular step if you want to make any changes. Select Save to successfully save the SMS Ad. The SMS Ad will start on schedule. The newly created SMS Ad highlights for a few seconds. There is an on-site tour guide on the management of your SMS Ads for the very first time that you create an Ad.